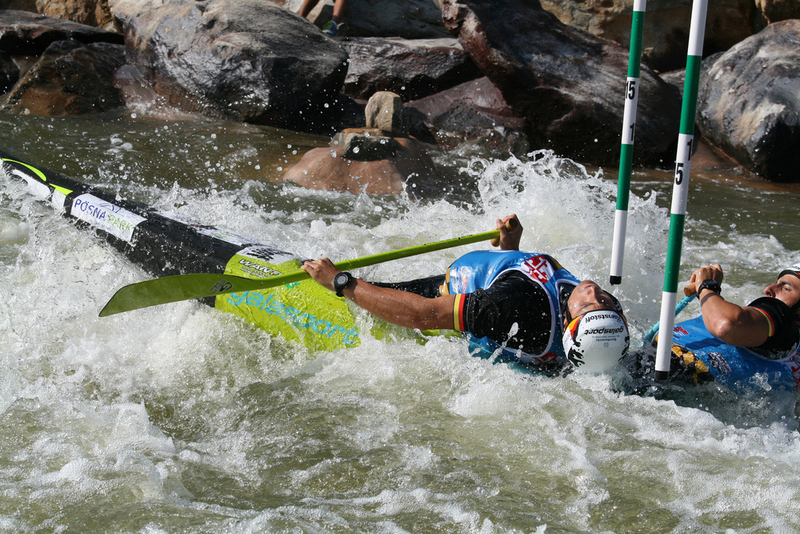 The 2014 Canoe/Kayak World Championships were held here in Garrett County on our beautiful, man-made course at Adventure Sports Center International [ASCI]. More than 40 countries from around the world participated in five days of competition events. It was an incredible opportunity to shoot athleticism and competition at a level I had never seen, live, in any sport. Designing the numbered bib for the athletes to wear in competition was definitely a first for me. The only concept input was that it be a Maryland theme, other than that I was on my own. The first thing to do was to try to find out what "not to do" when designing a bib, so I researched event footage and didn't stray much from the norm. There are times to be a rebel and this wasn't one of them. A very tight deadline and lack of knowledge of fabric printing kept me from having anything near a comfort zone. The design space was not without restrictions and rules governing text readability along with sponsor and organization logo protocol and hierarchy (it was made clear that under the arm was not prime real estate). There were political considerations that dictated placement and size of logos, along with the degree of contrast in colors. It was obvious once I had the template, this project would require more than the average number of options for the client(s) to ever feel the design was fair and equitable. Everything considered, the approval process was slow but fairly painless and I think a minimum of compromises were made by all. This is about half of the design variations that were shown.